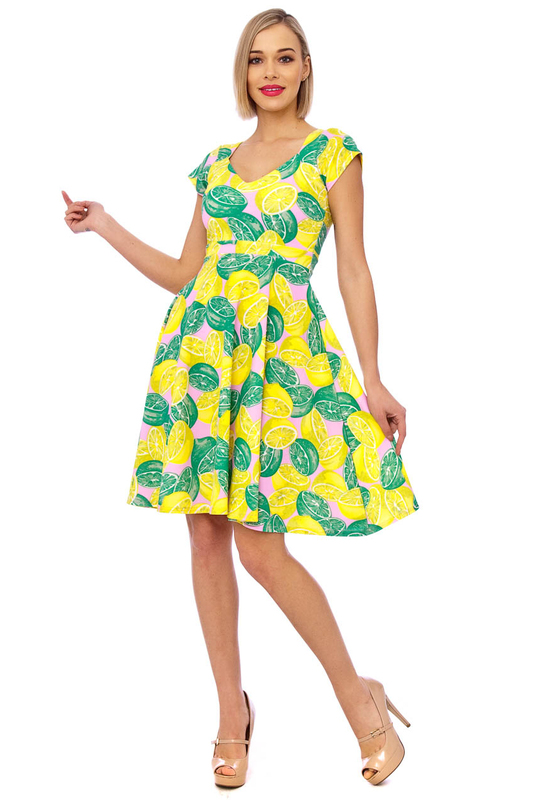 Meet the new Lauren 50s Lemon Lime Swing Dress. 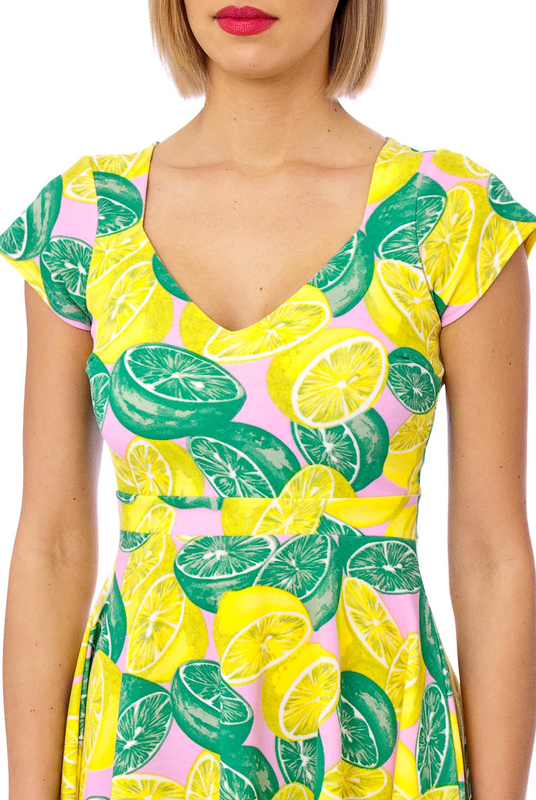 You'll have that lemon and lime effect on people when they gaze at you in this mouthwatering dress with an added dash of pink colour. 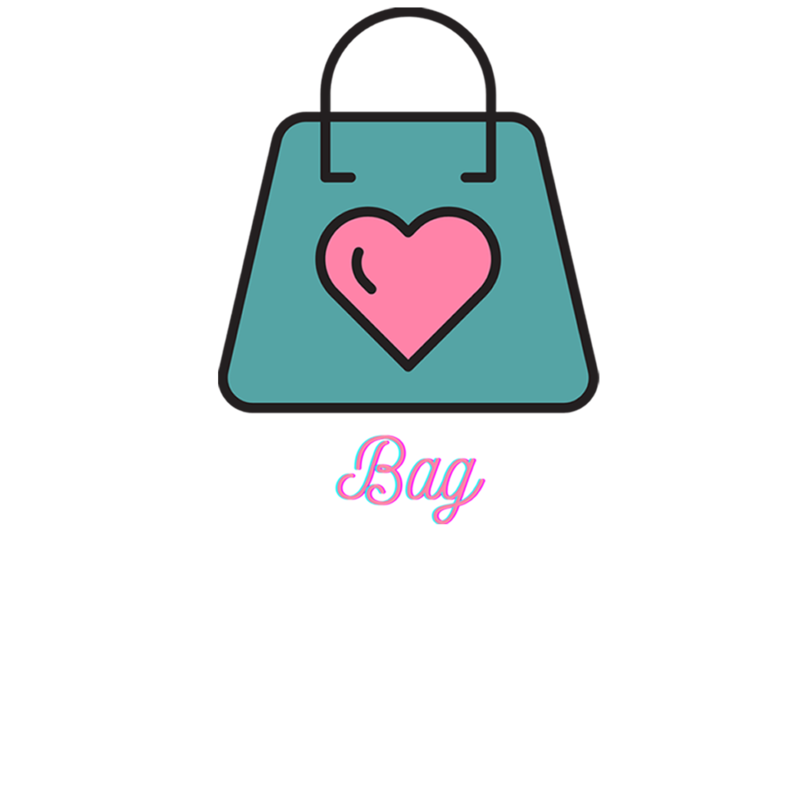 A new collection to our Summer range and what better occasion to wear this this summer, or simply dress it up for a sultry night out. This fabulous vintage inspired dress features an elegant diamond cut neckline, short sleeves and a flattering semi-swing skirt. As soon as you take Lauren out of the packet you'll notice a stunning 50s inspired dress and trust us, it'll look amazing on you as this beauty hugs in all the right places and gives a great hourglass figure. It has a beautiful lemon and lime pattern with a disctinctive nod to the 1950s. 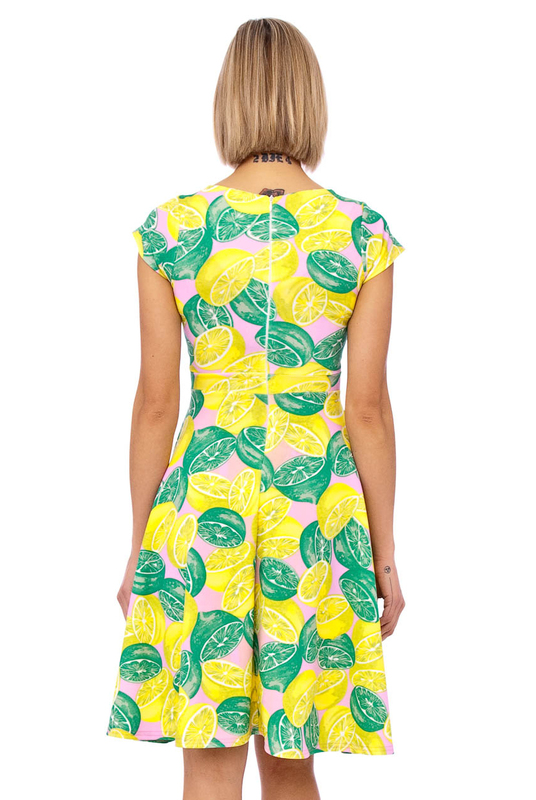 This unique retro dress falls above the knee and zips to the back with a central concealed zipper. 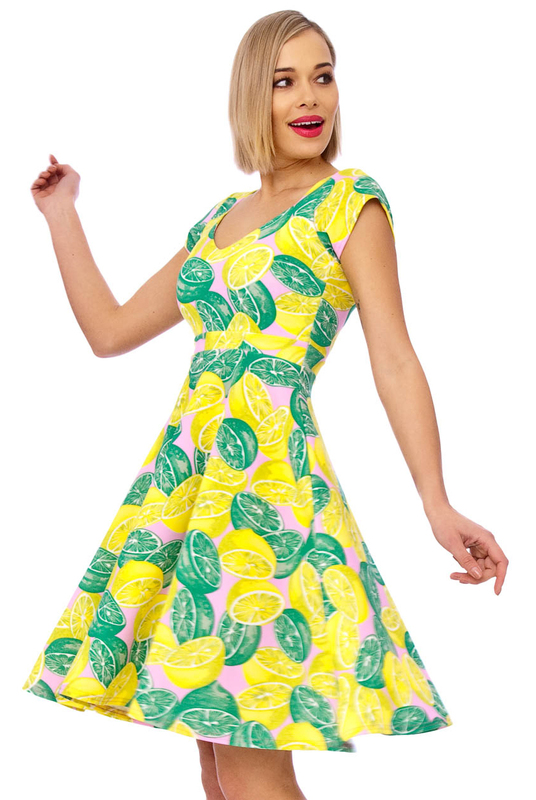 If you're looking to stand out from the crowd at your next event, then this Lauren 50s Lemon & Lime Dress will entice envy and admiration and is a great piece to wear for upcoming vintage parties. This classy number falls just above the knee in a fabulous mini length style.